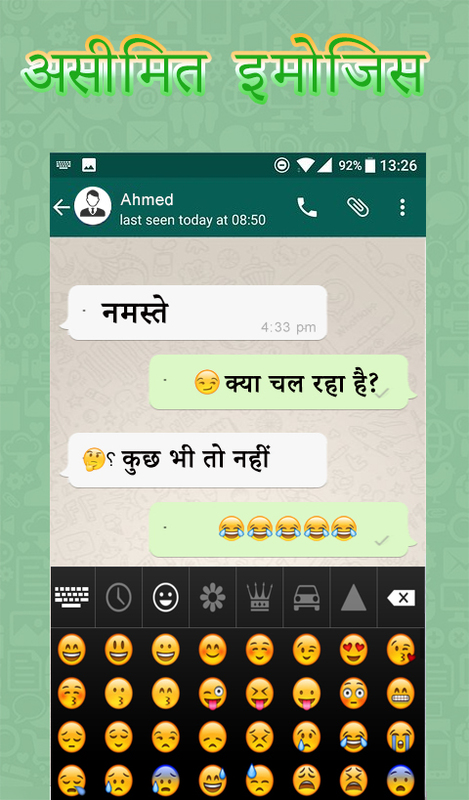 Now chat in Hindi language and type your Hindi words with English to Hindi keyboard. Hindi new phontic keyboard allows a user to write Hindi message Hindi alphabet words and text into Roman Hindi language. You can type Hindi font easily and send a message in Roman Hindi to your loving friends with this easy Hindi English typing app. Hindi Keyboard App 2018 is specially designed for Hindi speaking people who love to type message in the Hindi language. 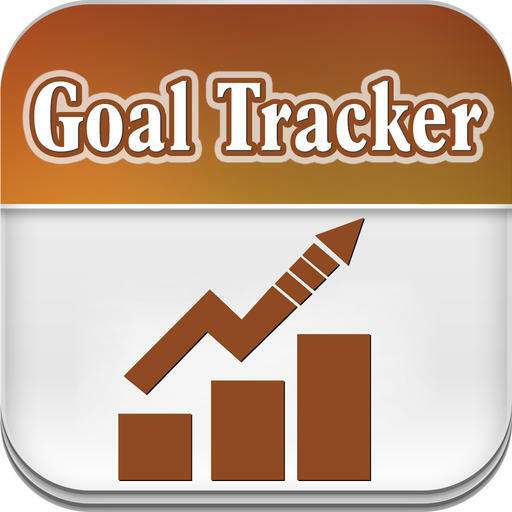 This is best free top Hindi English Keyboard learning App. Enjoy Hindi writing English typing in best New Hindi taping Keyboard 2018. This is two in one keyboard you can type English words and Hindi alphabet at the same time without changing Easy Hindi English keyboard. Now you can write Hindi keyboard font, text messages, words in any social media application like Whatsapp, Facebook, Twitter, Instagram, messenger, IMO, Viber and you can also write an email easily with this English Hindi simple typing app.Hindi emoji Keyboard very easy to use and user friendly interface.Update your fb Hindi status, whats app Hindi status with this Hindi translator keyboard. 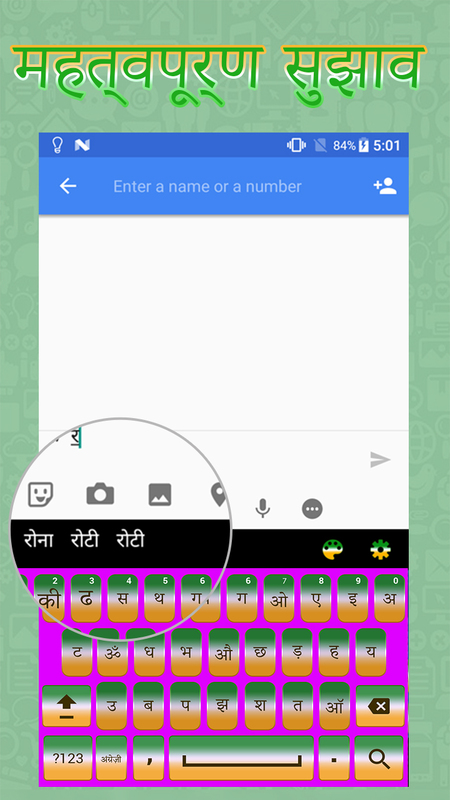 Add a picture as keyboard themes on your android mobile with Hindi to English Keyboard. 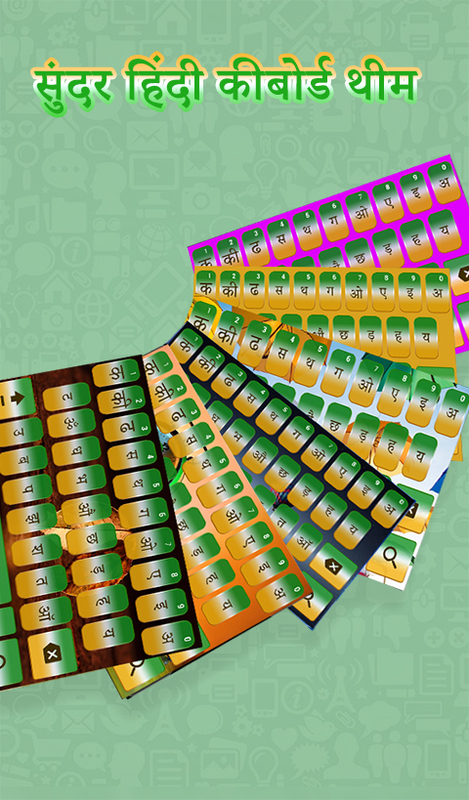 You can also set your image and Indian flag as beautiful keyboard background pictures with this top free Hindi mobile keyboard. 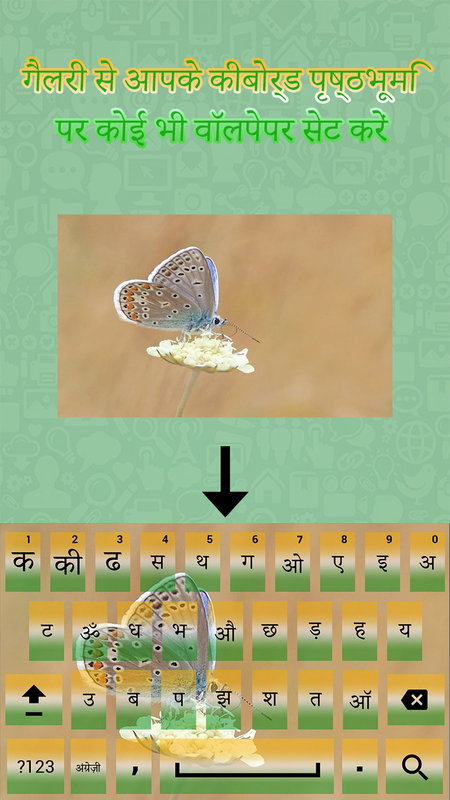 You can write Hindi Text with the help of soft fancy keys on best Hindi from English keyboard. Hindi app which allows you to type in English and Hindi at the same time. 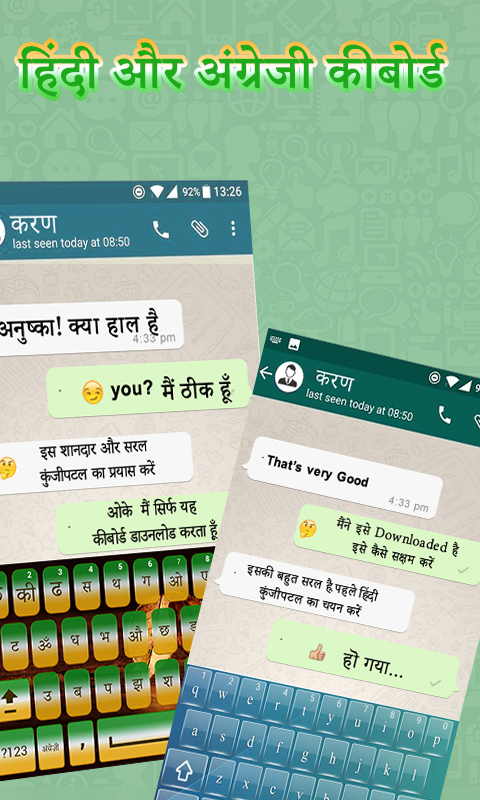 Share your thought in Hindi and send cute emoji's, Buddha emoji, fancy fonts with your friends with this free Hindi emoji keyboard. New custom Hindi keyboard has an option of asan roman Hindi, Hindi words suggestion, Hindi spell check and Hindi alternative words. 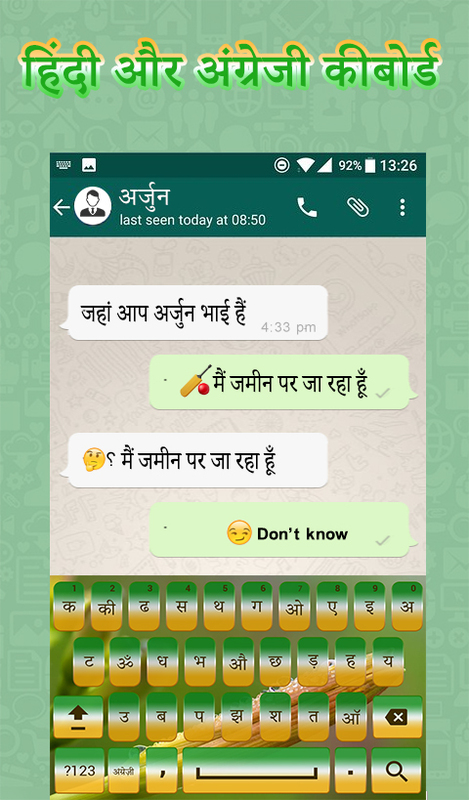 Enjoy 1000+ cute emojis, Hindi Stickers,Indian flag with Keyboard English Hindi. New Hindi easy typing Keyboard 2018 has an optional Hindi English keyboard layout. Hindi best typing keyboard has attractive keys sound effect. 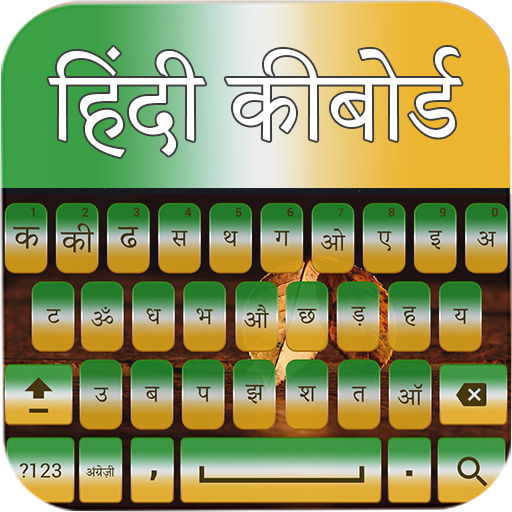 Simple typing Hindi English Keyboard very easy to use and free to download for android user. How to enable New Hindi and English Keyboard 2018: Hindi Typing? 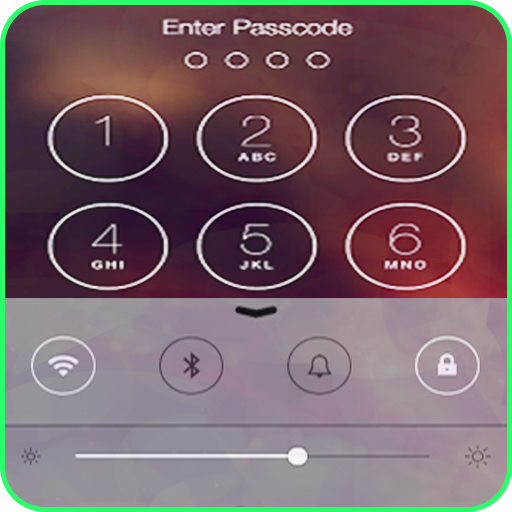 After enabling the best Hindi keyboard set the input method between the Hindi keyboard and device default keyboard.